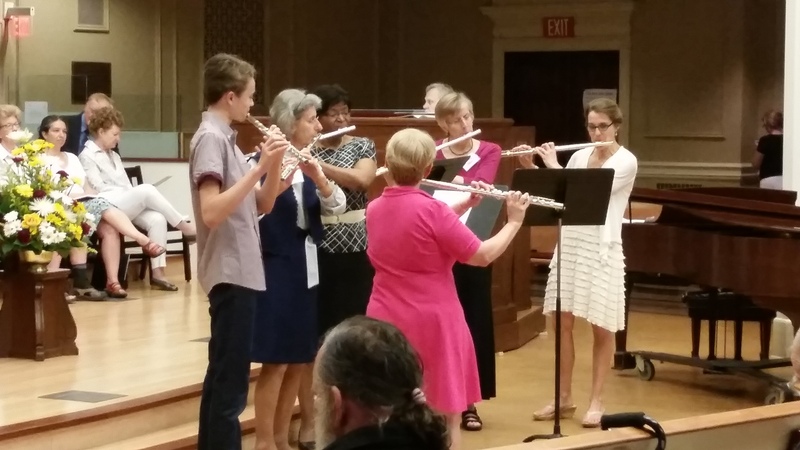 We wish to thank our NYA Flute Ensemble for their participation in worship this morning. “Shall we Gather at the River,” by Baptist minister Robert Lowry was originally entitled “Hanson Place,” referring to the Hanson Place Baptist Church in Brooklyn where he served as pastor. “Brother James’ Air” was written by James Leith Macbeth Bain, a Scottish minister and prolific religious author from the early 1900’s who was known as “Brother James” in his time.